Ryan shares tales of his exchange experience at Fudan University in Shanghai, China. “From running a marathon on the Great Wall of China, to climbing China’s deadliest mountain at night to see the sunrise, this has truly been an unforgettable adventure. When I came to China, I didn’t speak a word of Chinese, now I can – nǐ hǎo! I thoroughly recommend, especially to a foreigner (wàiguó rén). I also received the Prime Minister’s Scholarship to Asia which was amazing on its own. “The quality of learning at Fudan University was of a very high standard. I particularly enjoyed the small classroom environments where most classes had around 25 students. This is a huge contrast from the 1,000-student lecture theatres I’ve become accustomed to. It meant there was a lot more interaction with the lecturers and, in several classes, this developed into professional relationships and friendships. “One of the biggest highlights for me was a group project in my Investment Fund Management course which saw us defining and managing a (real world) fund. I enjoyed the teamwork aspect the most. We pulled many all-nighters together and I learned more real-world and job-applicable skills than I have from any other semester course. 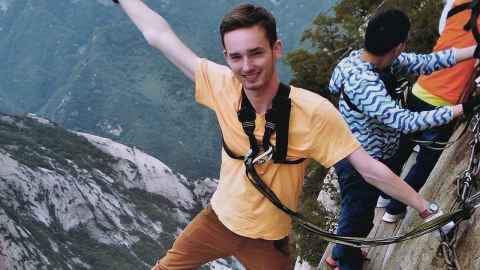 “In hindsight, I don’t know what originally compelled me to go to China, but it was an unforgettable experience I would recommend to anyone wanting a challenge. Most people don’t speak English (despite what they say), and there were several moments I was stranded in the middle of China unable to communicate or pay for anything. It was an adventure from the second I stepped off the plane! “One of the key things I learned was the value Chinese culture places on relationships, often referred to as guānxì (关系). Learning about Chinese culture is something I would recommend to any Kiwi, it has completely changed how I see New Zealand since returning. 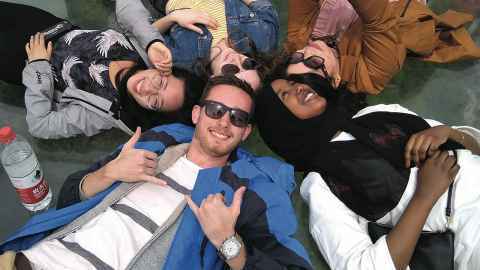 Overall, I thoroughly enjoyed the learning experience at Fudan and cannot recommend it highly enough as a university for any future exchange students. 我爱上海!!!! !